Item # 308434 Stash Points: 6,495 (?) This is the number of points you get in The Zumiez Stash for purchasing this item. Stash points are redeemable for exclusive rewards only available to Zumiez Stash members. To redeem your points check out the rewards catalog on thestash.zumiez.com. 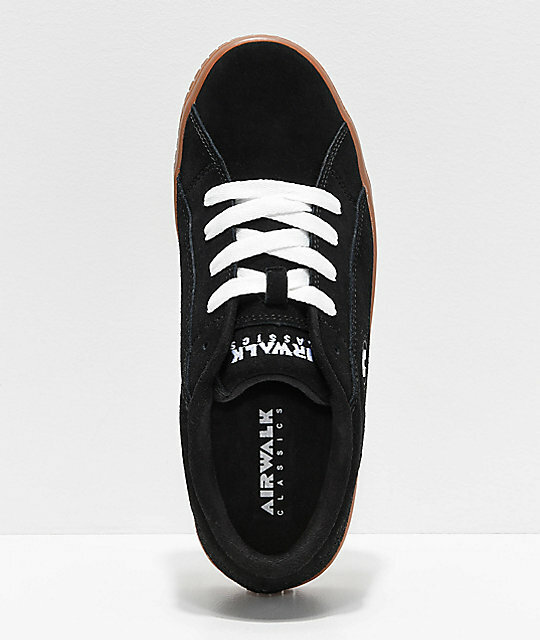 Give your shoe rotation an influx of old school style with the Airwalk The One Black & Gum Skate Shoes. 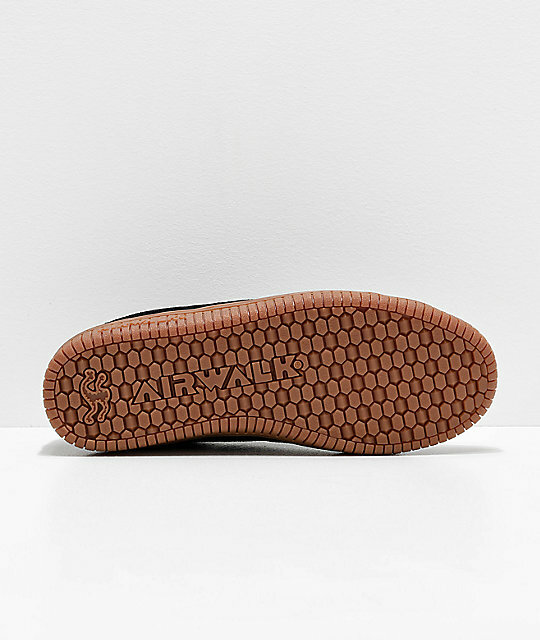 A staple in 1990s skateboarding, these shoes offer heavy padding throughout the collar and tongue for comfort and a gum sole with hexagonal tread ensures ideal grip on all-kinds of surfaces. 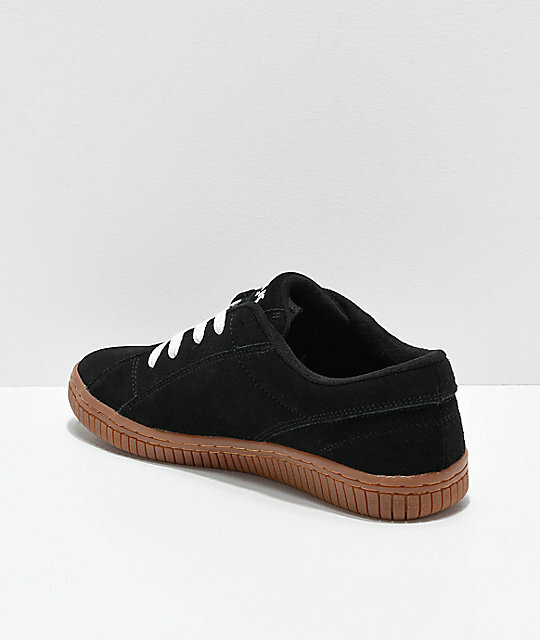 Finished with a cupsole for impact support and double stitching throughout for durability, these shoes are a must-have. 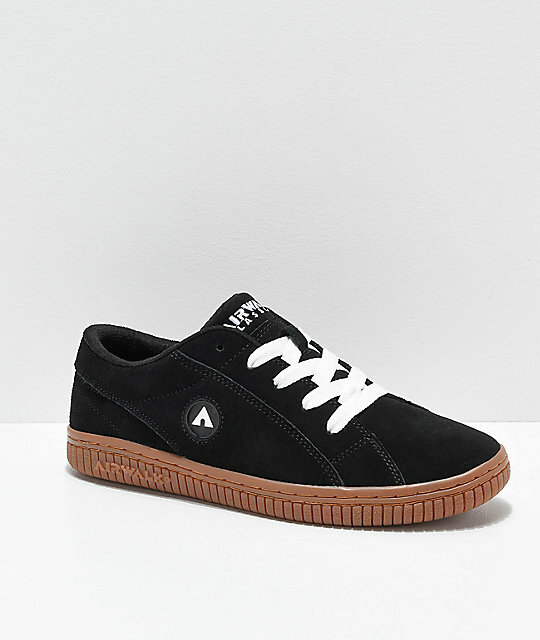 The One Black & Gum Skate Shoes from Airwalk.